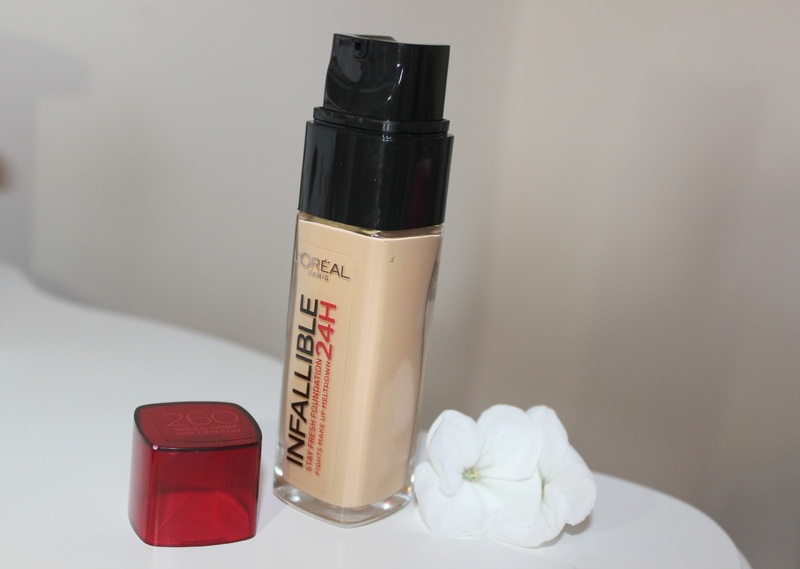 This is my holy grail drugstore foundation, hands down! I've bought more bottles of this foundation than any other foundation I've ever used/purchased before. Golden Sun 260 is around the same colour as NC30 in MAC Studio Fix Fluid, so it's a perfect match for my tanned skin during the Summer and for those fake tan nights out throughout the Winter. The longevity of this foundation usually lasts around 8-10 hours on my skin, which I think is amazing for a drugstore foundation! I haven't tried it out for longer than that though really so I wouldn't be able to comment on the foundation lasting '24 hours'. The coverage is light-medium, but I'd say it's more of a medium-full coverage foundation. So it's perfect if you want to cover up any blemishes and it does do that! It's comparable to the MAC studio fix fluid in consistency and how it looks on my skin. I don't really notice a difference between the two and that's for half the price I will pay for a MAC foundation. One pump is enough and sometimes I'll mix just half a pump with an illuminator for a lighter, dewy kind of finish. That's my favourite kind of finish and for some reason I always end up buying a matte finish? Just why? I do not know haha. If you could recommend any foundations with a 'dewy' finish that would be a great help. This one has a semi matte finish as it does have a bit of a glow to it once it has been on the skin for a couple of hours. This may be a downside to some people as it is suppose to stop shine coming through, but I like the dewy look that it creates. The consistency is on the thin side, which is quite a shock to say how good the coverage is. You'd of expected it to be a lot thicker. Yeah, so this makes it easier to blend into the skin and I've never noticed it being cakey. I love the fact that it comes with a pump dispenser (biggest pet peeve when they come without) and this pump is super easy to control. If you want half a pump, you can have half a pump. Now that's what I'm talking about! Overall I really, really like this foundation and I don't know if I'll ever find a foundation that suits my skin more than this one. Although I am dying to try the NARS sheer glow as I think it will be the perfect match from what I've heard, but it's just getting the right colour and the price is a little steep too. Have you tried NARS sheer glow? What is your holy grail foundation? I do like to try new ones from time to time ladies as I'm always on the look out for 'the one'. I do have to say this is mine up to now. 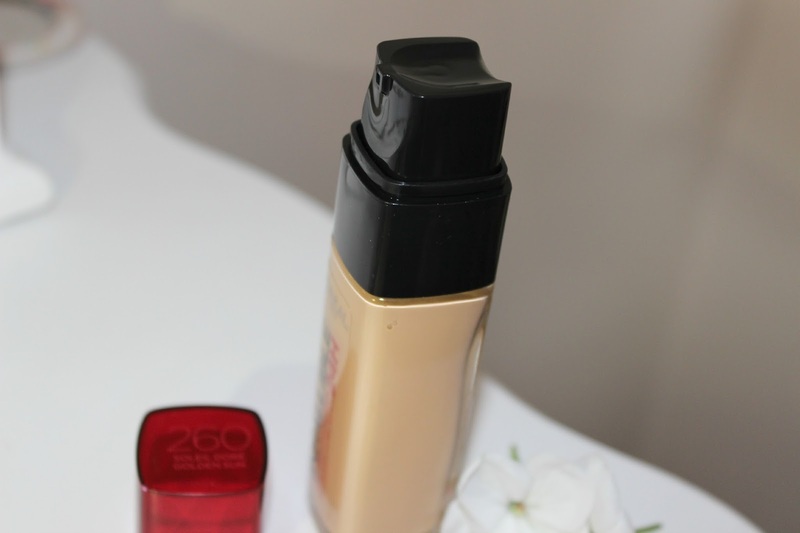 I absolutely love L'oreal foundations! I am a complete convert after trying "true match", will definitely be adding this to my wishlist. Agree agree agree with the pump situation. I was so peeved after purchasing studio fix for an already high price, that I would then have to pay £4 for a pump. Grrrrr! It's a shame we don't have this foundation in Canada. We do have the 16 hr one, I wonder if its the same formula?